Electronic shifting like the Shimano’s Di2, SRAM’s eTap and Campagnolo’s EPS is transforming cycling in a similar way to disc brakes. After the initial resistance and the inevitable we don’t need electronic shifting when mechanical works fine response, electronic shifting has hit the mainstream. It didn’t hurt that pro teams use it but it was the steady improvement in the technology and the reduction in price that made it mainstream. If you haven’t tried electronic shifting yet, you should, especially if your budget allows for it. Read More : SRAM eTap vs Shimano Di2 – Which is Better? Like myself, once you try it you will want more. Once you own a bike with Shimano Di2 or SRAM eTap, you will wonder why you waited so long! Smoother shifting, quieter changes, no more chain rub, automatic chain trim and more importantly much lesser maintenance are just some of the benefits electronic shifting brings. There is a lot of information on Shimano Di2 out there and your local bike shop should be able to answer most of your question. There are some questions that aren’t often answered though, which is what this article is all about. Here are 10 things your bike mechanic might not tell you about the Shimano Di2. One of the great things about Shimano Di2 is that it’s fully customizable. Not only can you adjust shift speed or control how many gears to change at once, you can also map functions to different buttons and configure it however you like. 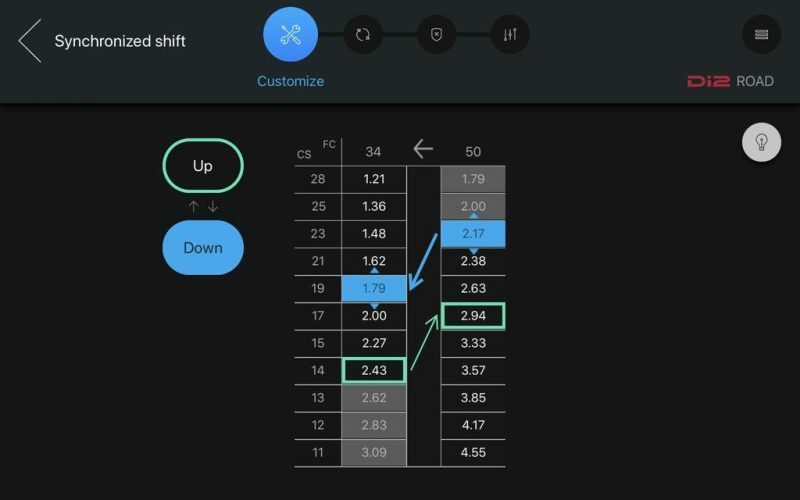 Customizing shift patterns with Di2 is something I have fallen in love with. Sure, once you have your preference set and have found the right one for you, customization is quickly forgotten. But, once you have that setting you now have a drivetrain that is smooth, slick to change and almost conforms naturally to the way you ride. 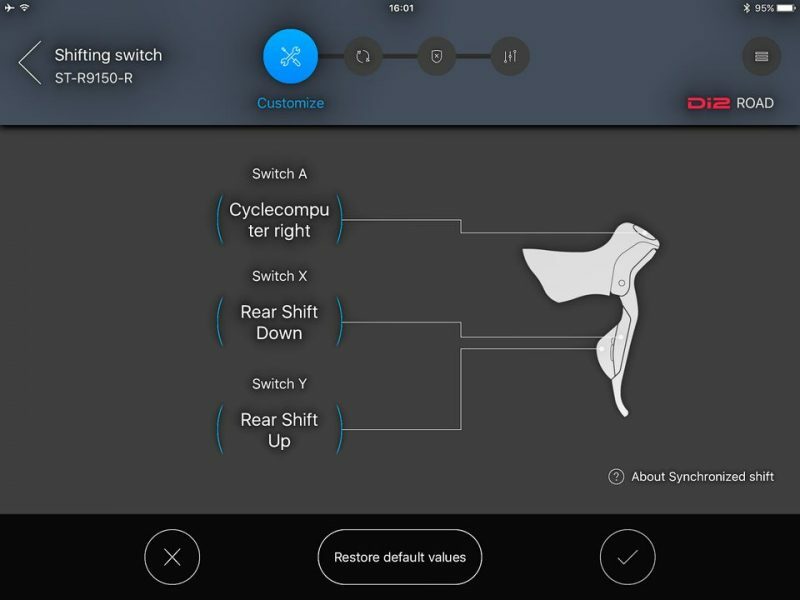 Using the Shimano E-Tube app you can tell Shimano Di2 to multi-shift, change which buttons do what, update the system firmware and more. For some, this is the crowning glory of electronic shifting. 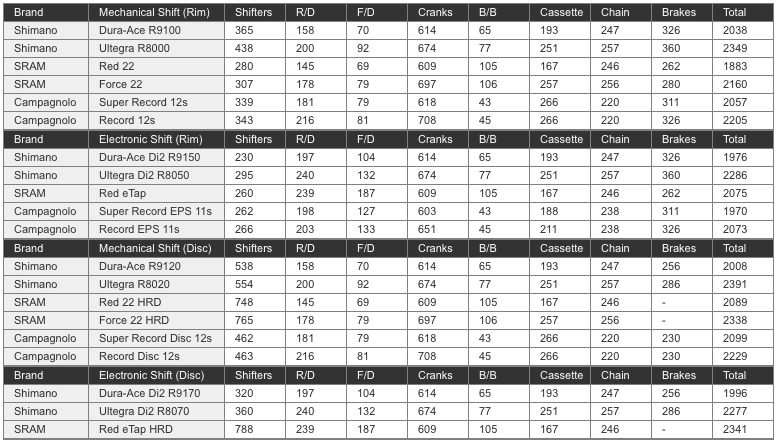 In theory, you should never need to re-index Shimano Di2 gears because it maintains its position relative to your gear. However, if you do need to re-index your gears while you’re riding to get rid of chain rub, you can do it while on the move as long as you have access to the junction box, usually located under the stem or at the end of the handlebars, depending on your configuration. All you need to do is hold down the button on the junction box until the shift LED goes red. Then hit the rear shifter once to adjust the equivalent of a quarter turn on a manual derailleur. You can do the same for the front trim too. Shift into the big ring up front, change to the largest gear at the back and press and hold the button on the junction box until it goes red. Press the front shift once to micro adjust. You will obviously need a piece of straight road to do it but it is perfectly possible to adjust while still on the move. You can use one or all of them depending on your preference. Manual shifting moves the chain one cog at a time just like manual shifting does. It’s simple, predictable and what we are used to. Semi Synchro is an awesome way to keep pedaling smooth when shifting into and out of the big ring. Usually you would shift up or down a cog or two at the back when shifting up at the front to keep things smooth. Semi-Synchro Shift does the rear shifts for you. All you need do is hit the front shifter into the other ring and Di2 will automatically shift up or down at the back. Synchro Shifting takes that a little further. As you shift up at the rear, the system recognizes where gears cross over and would work better in the big ring. It will then automatically shift up at the front and down at the rear to maintain the same gear but using different ratios. You can configure exactly when your front derailleur is triggered to suit the way you ride. While I’m not going to tell you how to use your gears, semi synchro and synchro make more out of your investment in Di2 than vanilla single changes. If you’re going electric, you may as well utilize some of its strengths! Older Di2 systems with the D-Fly accessory and newer Di2 with the EW-WU111 unit can communicate with your bike computer and display your current gear. If your bike computer is compatible with ANT+ or Bluetooth, it should be able to receive and interpret the signal from Shimano Di2. 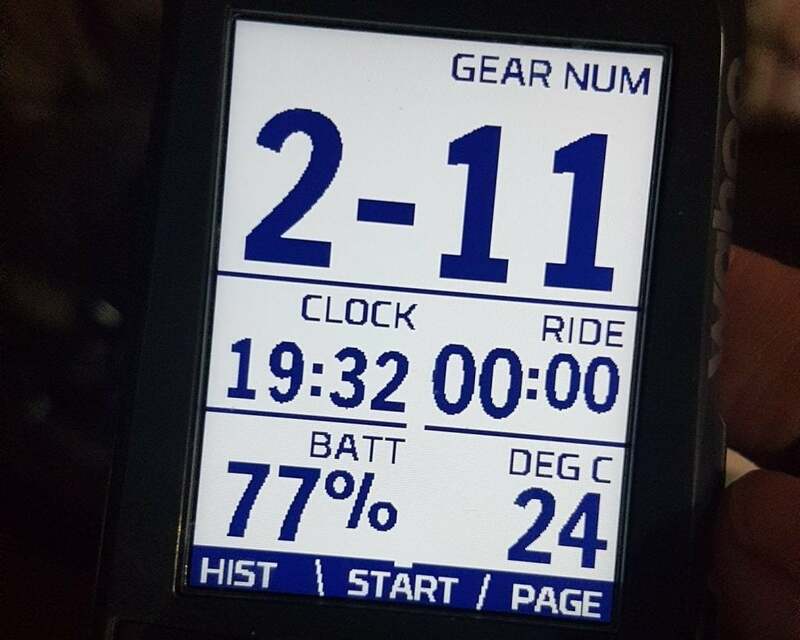 It can also display the number of gear changes from both front and rear derailleurs if your bike computer can handle it. It’s a small thing but a neat thing. If you hook up your bike to an indoor trainer, it can talk to apps and Zwift too. Cross chaining may not be as detrimental to wear as it was once thought to be but it isn’t good form and can be noisy. When you have an almost silent system like Shimano Di2, why spoil it with chain chatter? Shimano are way ahead of you there and have configured Di2 so it doesn’t allow you to cross chain. New in the 6870 and 9070 front derailleurs, this is an evolution from the earlier front trim that no longer allows you to use small ring/small ring. In fact, it won’t shift into either of the bottom two rings on a cassette while in the small ring up front. You can use big ring/big ring though. Di2 shifters may look and feel similar to their manual siblings but they are lighter. For rim brakes versions, Dura Ace mechanical (R9100) shifters weigh just 365g while Dura Ace Di2 (R9150) weighs in at 230g. The Ultegra mechanical (R8000) shifters weigh a hefty 438g while Ultegra Di2 (R8050) weigh just 295g. For disc brakes versions, that changes a little thanks to the reservoir housed in the shifter. Weight increases to 320g for Dura Ace Di2 (R9170) and 360g for Ultegra Di2 (R8070). 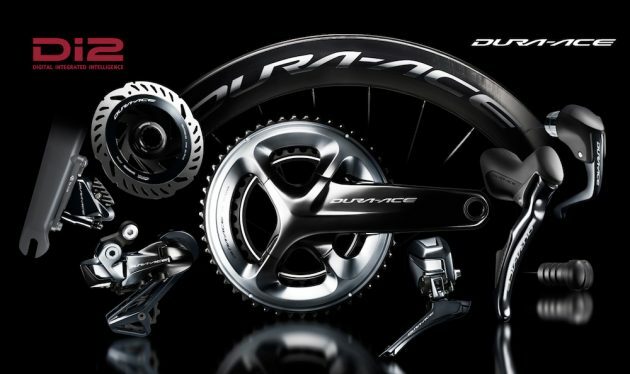 That increases further to 538g for Dura Ace mechanical (R9120) and 554g for Ultegra (R8020). If you’re a weight weenie, that’s an important gain alongside the other benefits of Di2. Not very many people know that you can effectively mix and match MTB and road drivetrain components with Shimano Di2. I’m not sure why you would do this on a road bike but it certainly has potential for gravel. You can mix Shimano XT and XTR components with Ultegra and Dura Ace to create a completely customized experience. For example, you can mix road shifters with MTB derailleurs and as long as they are tuned properly using eTube and are compatible, you can use whatever you like! 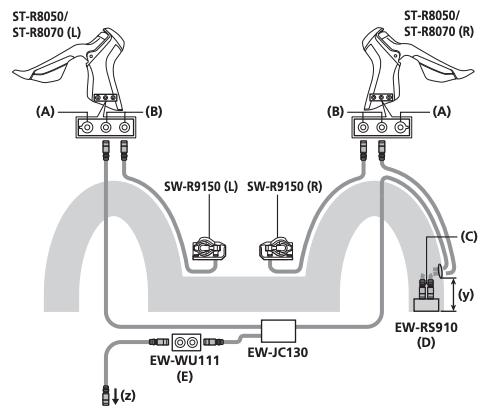 Shimano has a defined wiring methodology for fitting Di2 and your local bike shop will have their preferred way. But there is a third way. In fact, you can wire up Shimano Di2 any way you like as long as the correct connection is in the correct socket. This offers a lot of scope for custom bikes, frame builders and anyone who likes doing things their own way. Before the arrival of the R9100 series, the brake hood on shifters were larger on disc brake bikes than on rim brakes. The size difference was necessitated by a hydraulic fluid reservoir necessary for the hydraulic disc brakes. The design has been refined to keep the hood the same size regardless of brake type. This only applies for the Dura Ace versions. While the difference wasn’t major, there was enough extra bulk in the hydraulic shifter’s hood to change the grip and user experience. With the new R9100 series shifters, they are exactly the same size and rim brake versions and aside from buttons instead of shifters, are almost indistinguishable when on the road. One of the main downsides of electronic shifting was the fear or running out of charge while out on a ride. Previous iterations of Shimano Di2 left it up to you to find out the charge level. You could connect it to your bike computer if compatible or perform a manual check before your ride. Now, the front derailleur will stop shifting before the battery runs out to let you know that you’re running low. This leaves the rear derailleur to shift normally to get you home without leaving you stranded. But beware, you don’t have many shifts left, so the best option is to head straight for home! This is actually quite important to know if you’re new to Di2 because suddenly losing your front derailleur could easily be mistaken as a system fault!